Get your webcam online in one minute. 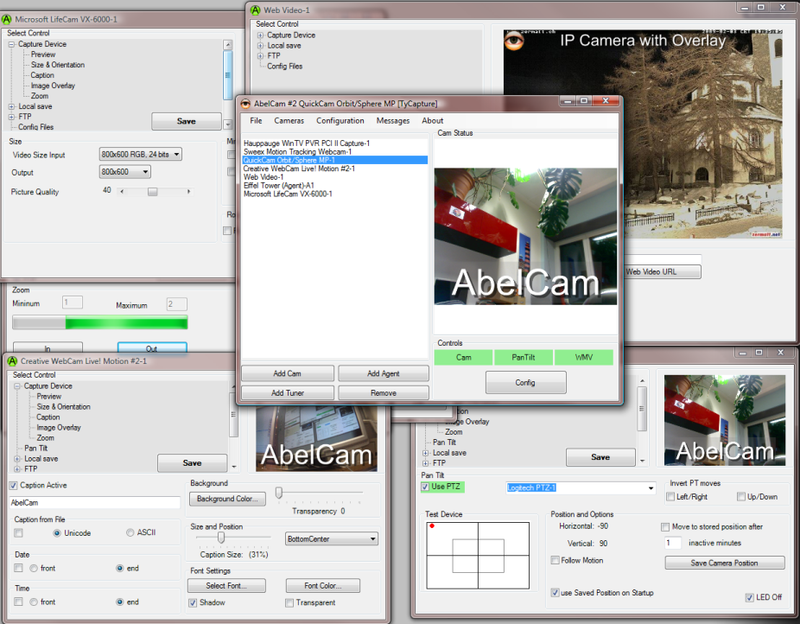 AbelCam does motion detection, video broadcast, emailing, archiving, FTP upload, chat server, windows media server, video recording etc. Use any capture device to stream video. AbelCam supports more than 2000 capture devices, TV tuners and IP Cameras | Use the zoom feature with any webcam | Tilt/Pan/Zoom for Logitech Sphere, Creative Live! Motion and others | may be configured to run as Service on XP/W2K. Qweas is providing links to AbelCam 4.0.0 as a courtesy, and makes no representations regarding AbelCam or any other applications or any information related thereto. Any questions, complaints or claims regarding this application AbelCam 4.0.0 must be directed to the appropriate software vendor. You may click the publisher link of AbelCam on the top of this page to get more details about the vendor.